Doctype Media is a small design and website development shop. We use open source Content Management Systems to reduce costs of our projects and still achieving very nice results, both for our customers and for their clients. - Know how with Wordpress, Drupal, Joomla and CMS Made Simple open source softwares. 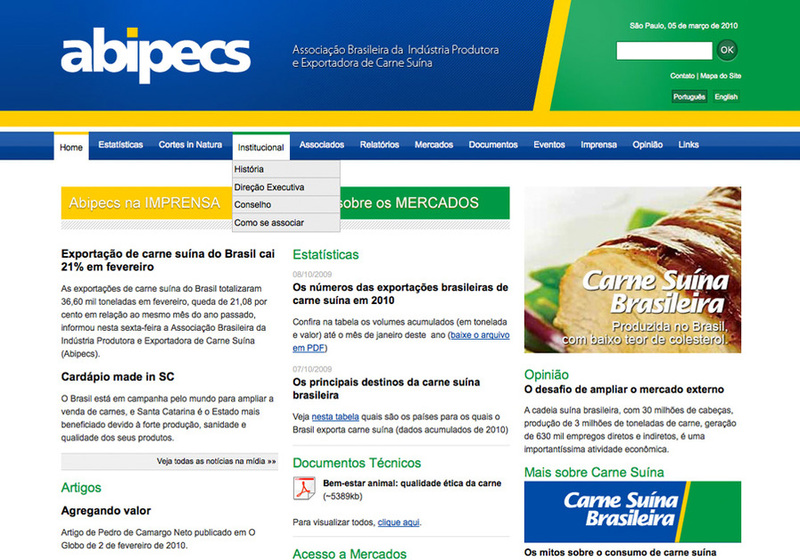 Big CMS based portal for the Brazilian Pork Industry and Exporter Association.